With the third and fourth-place finishes of the Ferrari drivers in the Abu Dhabi Grand Prix, the final race of the 2017 Formula One season, the Prancing Horse brand finished strong in the Drivers’ Championship. The thrilling season was a result of a perfect blend of powerful engineering and outstanding driving talent. On November 25, behind the wheel of the Ferrari Formula One vehicle, driver Sebastian Vettel was able to cinch a third-place finish in the Abu Dhabi Grand Prix, giving him a second-place finish in the overall Driver’s Championship, just behind first-place finisher and season-long rival Mercedes driver Lewis Hamilton. Hamilton finished in second place at Abu Dhabi, with Mercedes driver Valtteri Bottas took first. Bottas finished in third in the overall championship. Fellow Ferrari driver Kimi Raikkonen just missed the podium in both cases, with a fourth-place finish at the Abu Dhabi Grand Prix, which led to him taking fourth behind Bottas in the championship. After the brand’s unrelenting push this year, we can only expect it will come back next year even stronger to take on Mercedes. Vettel proved to be a huge asset and talent for the Ferrari racing team. He matched Hamilton with a total of 13 podiums – the first time this tally has been tied since 2010. 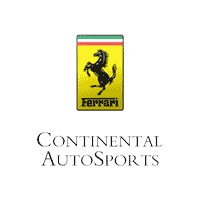 Vettel also took more front-row starts and spent longer at the top of the standings, giving us here at Continental Ferrari hope for next year’s season. Also on the horizon are talks of changes being made to the Ferrari vehicle. Most visibly, the model features a new Chassis and aerodynamic design. What’s more, the model will see some changes to its power unit, as well. For 2018, regulations the number of engines that can be used during the 21-race season has been reduced from four to three – a 40% increase in mileage. New regulations on engine oil and electrical components and batteries have also been placed for 2018. Are you looking forward to seeing Ferrari in the 2018 Formula One Season? Let us know in the comments below!